There's a reason corporations want the TPP negotiations secret—it wouldn’t pass otherwise. One of Senator Elizabeth Warren’s top priorities since coming to Washington has been opening up ongoing international trade talks to public scrutiny—she has, on several occasions, criticized the secret nature of the negotiations, and has pressed the administration’s trade representative directly about transparency. 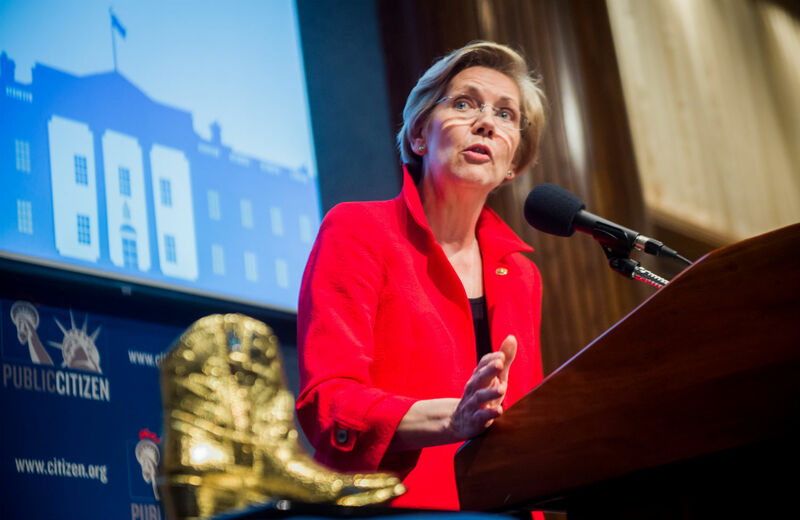 On Wednesday night in DC, at Public Citizen’s annual gala, Warren spoke about the trade deals in some of her most direct remarks to date on the issue—and revealed some inside details about the debate in Congress. From there, Warren launched a direct broadside on the trade deals, which would include the Trans Pacific Partnership Agreement, and suggested it should be scuttled.